Shall we finally move on from Premiere Orlando blogs? After the show came a great two days of class with the talented Gina Sylvestro. 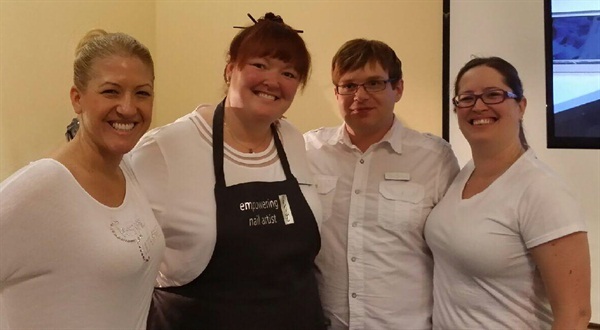 She and Viv Simmonds from Australia have worked to create an education program around using Swarovski crystals in the salon. 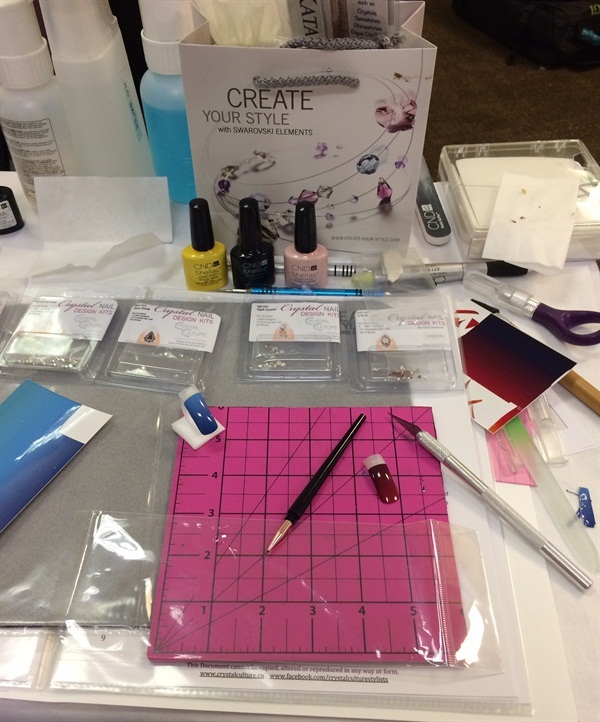 Gina personally selected some nail professionals from around the country that use different products and have different styles of work so that the classes would be professional, diverse, and enthusiastic! This group is now known as Crystal Culture Stylists. 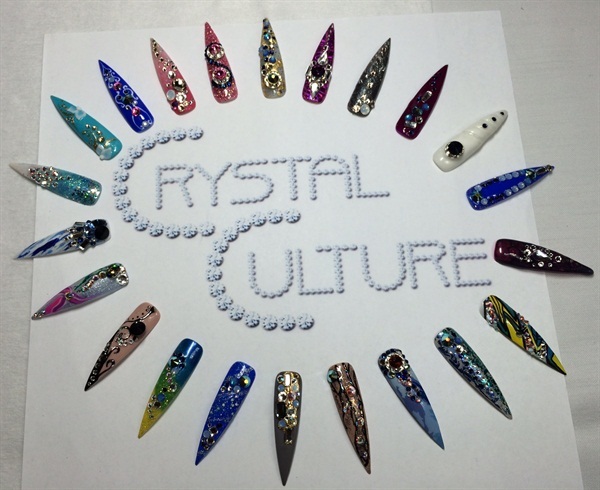 Attendees were presented with a "demo stock" of crystals along with the Crystal Katana and an education layout. The first tip was created by each educator in the room showing the diverse range of technique and talent. 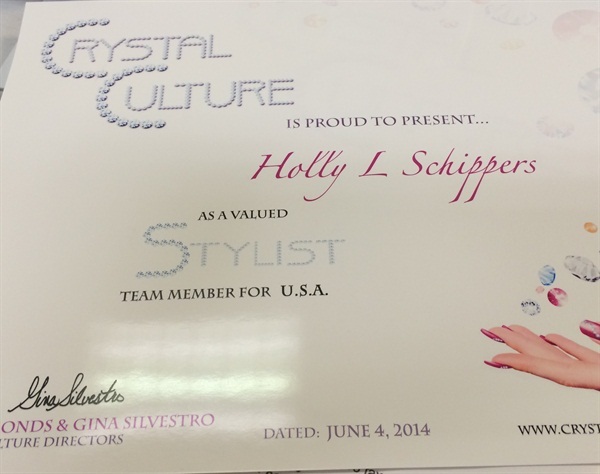 This is my official certificate for becoming a Crystal Culture Stylist! Gina invited a few attendees to demo some of their specialty to help answer questions from others on different medium and how to pair them with Swarovski.